Have you ever been afraid? The word “afraid” can be found 216 times in the NKJV of the Bible. God gives us accounts in the Bible where men, women, and children are afraid. God also shows us how He rescues, protects, and gives grace to people. As parents we need to take care in providing a safe environment for our children. As much as we would love to hold them and protect them their entire life we cannot and should not. It is important for parents to have a strong prayer life. As the mother of three children born within 27 months people often said, “They must keep you on your toes?” Which I replied, “They keep me on my knees.” Understanding that some things were in my control yet all things were in God’s control which was a constant help to me. We try to remain calm when afraid so our children will not be fearful. By having a time with the LORD each day (no matter how short or long depending on our season of life) helps us to maintain calmness amidst fear. The most important thing to take away fear is trust. When children know that you are there to nourish, care, protect, and love them their fears are reduced and trust is built. Our jobs as parents is to then build upon that trust and teach them to trust God. When life situations arise, point out how God cares and protects. Take pictures and frame those moments so your child can be reminded of God’s goodness. Pray for others and keep a journal of those prayer requests. Praise God for answered prayers and record in the journal so you can go back and remind your child of God’s working. 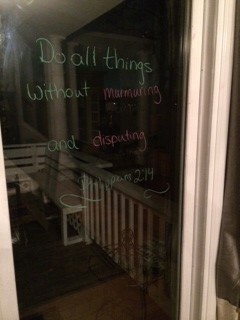 Just as the Israelites made stone monuments in specific locations to mark God’s working we too need to make visual reminders of God’s working in our lives and those of our children’s. Learning the names of God helps to take away fear and build trust. “What’s in a Name?” is a children’s book for ages 4-8 that teaches about some of the names of God. The name of God shown in the above illustration is the name “El Roi”. “El Roi” means the God who sees. God sees when we are afraid. He will take care of us. When we learn the Hebrew names of God we learn more about God. Each of His special names teaches us a characteristic about Himself. God loves us and can be trusted to take care of us in all situations. We do not need to be afraid. 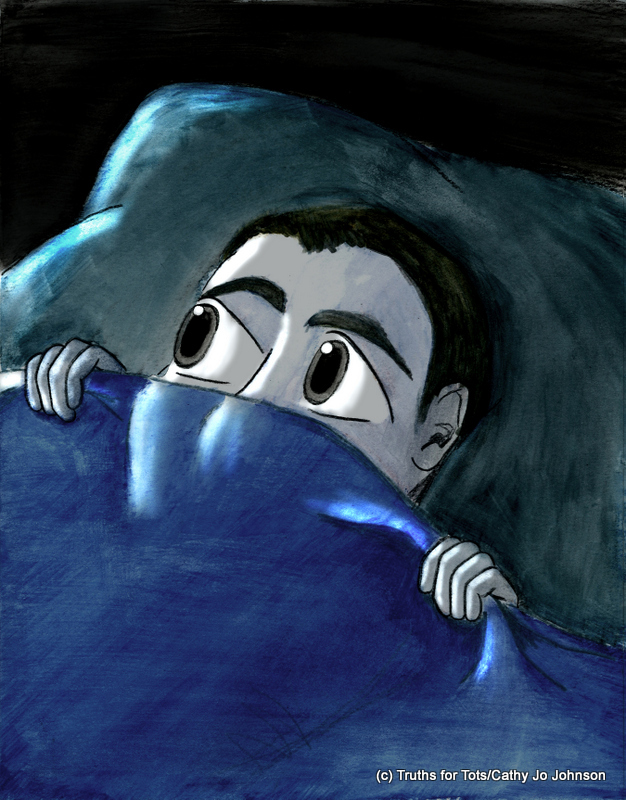 Out of Commission: Lessons Learned from Being Still. Out of commission. Not something usually attributed to mom’s. However, we’ve all been there at some point. We wake up with a headache or come down with the flu and…..
We are out of commission for a few hours or even a couple of days. Yet somehow the fam still has to be fed, kids still have to get to school, boo-boo’s still need to be kissed, etc. That was me – out of commission for 2 1/2 weeks. I knew it was coming. I prepared as best as I could with a checklist of items. Freezer meals made – check. Clothes laid out for the kids for the week – check. Yet, somehow it didn’t feel like it was going to be enough. The day came. Everyone was ready. Thus began my time of being out of commission. Don’t get me wrong, I still kissed boo-boo’s and listened to how the days went for each child. But I didn’t move from my chair in the living room except for when absolutely necessary. However, I must say I learned a lot while being out of commission. So, here are “Lessons learned from an Out of Commission Mom”. 1. It’s OK to say “no”. We mom’s are so busy and we make ourselves even busier by adding extra burdens on us. Then we wonder why we have melt downs. It was so refreshing to be able to tell people “No, I can’t do that because….”. For 2 1/2 weeks, no responsibilities except for my family. REFRESHING!!!! 2. Devotional time can be refreshing. I have had a devotional book that I have been meaning to tackle for about 4 months and just never got to it. Well, I got to it and it forced me to go deep into God’s Word. To my shame, too often my devotional time was a quick verse and a prayer. I wondered why I would feel spiritually depleted. When I was forced to sit, my devotional time was amazing. I would start and then look at the clock and an hour would have passed! I’ll say more about this another week. 3. It’s OK to ask for help. My sister could only stay for a week. My mom helped as much as she could as well as my husband. But there were times we needed another set of hands. That’s when we called on our friends. It is amazing the friends that God brings in your life before you “need” help. When that time comes where you just can’t do it by yourself, those friends are there for you – ready and willing to help! 4. It’s OK to accept help when it’s offered. People would text and say, “I’m bringing a meal.” or “I am taking the littlest guy for a play date these days.” They didn’t ask. They just did it. All of those people made my recovery time so much shorter because I could get much needed rest. Warning: Both asking for and accepting help can be very humbling. 5. It’s amazing how much help the kids can be. The house got cleaned, laundry got done, and supper was put on the table all with the kids help. Ok. So, it wasn’t up to “Mom” standards but it was sufficient and much appreciated. 6. Cards and texts were an encouragement. Can I tell you what it was like to get a card with a quick note saying, “Praying for you”? I’d get a text a few times a day from friends just checking up on me. Huge blessing. 7. My husband is the BEST!!!! 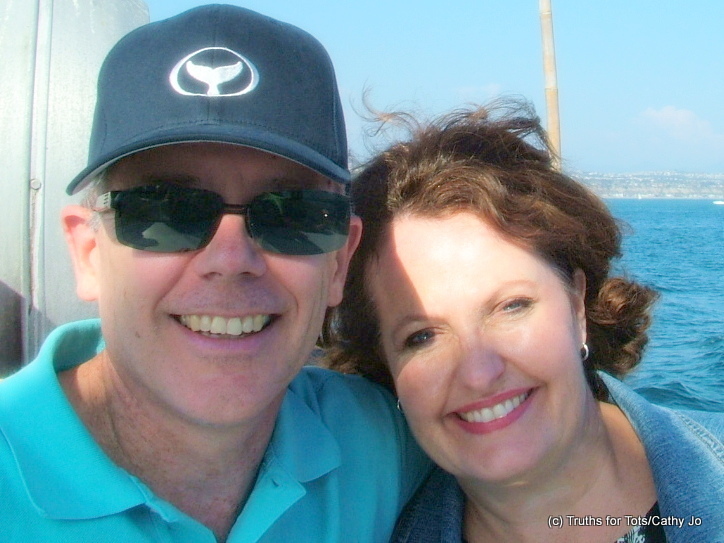 “For better or worse” has been put to the test the last few years with God entrusted trials. Yet, my husband has always been there for me. I depended on him completely the first few days of my “out of commission” time. He never sighed or made a comment. He just helped. 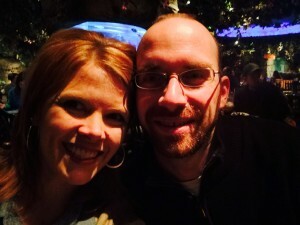 Me and the Hubs out to dinner. Everyday he reassured me that he still loved me (despite wearing sweatpants and t-shirts for 2 weeks). When I knew I was going to be out of commission for awhile, I was ready for it mentally. Yet, I wasn’t ready for the lessons that I would learn spiritually and emotionally. Honestly, would not have chosen the path that I was put on, but I wouldn’t change it for anything. You have probably seen the WWJD bracelets. Did you know that they were based on the book In His Steps? “Newspapers and magazines serialized In His Steps. This simple but inspired religious novel changed the work in the early twentieth century.” An estimated thirty million copies in fifteen languages worldwide have been published. Due to faulty copyright Sheldon did not earn very much money from his bestselling book. It is said that he rejoiced knowing that the message was so popular. The story is told through ordinary people led by their pastor. These ordinary people take a pledge to ask “What would Jesus do?” whenever they are asked to make a decision. Each person’s story emphasizes the importance of immediate obedience and personal Christian action in daily choices. 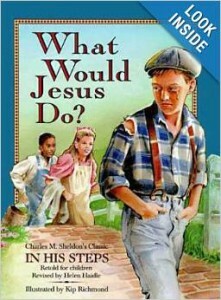 Sheldon’s great-grandson, Garrett W. Sheldon, wrote a contemporary retelling of his great-grandfather’s story and entitled it What Would Jesus Do? This book possesses the same wonderful elements of the original story yet in a time period better understood for today’s reader. It is exciting that a children’s book has also been written. This book captures the same message as the original book and asks after each short story for the child to make a choice according to the life circumstance in the chapter. 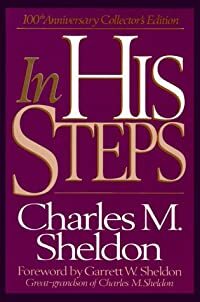 There is also a character building game based upon In His Steps. What would Jesus do in the situations of life is a good question to ask ourselves. It helps children (and adults) to think about their actions and act responsibly rather than impulsively. A Christian has the Holy Spirit to guide and direct. Yet, there is always a struggle between the “old man and the new man”. These resources provide good practice for a life that brings honor and glory to God. Saint Patrick’s Day is the celebration of a man that told his homeland of Ireland about Christ. Saint Patrick is not really a saint with a capital S as he was never authorized by Rome. He was a saint in the Christian definition as a saint is “one who is holy and set apart”. Patrick was sixteen years old when he was taken from his homeland in a raid and became a slave. He was taken to, at the time, the pagan country of Ireland. While there he wrote that he prayed nearly a hundred times a day. He was a slave for six years until he managed to escape. After forty years he felt called to go back to Ireland and witness to the people there. 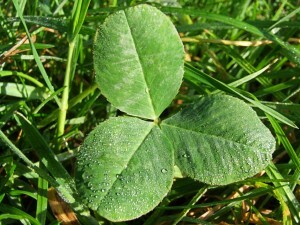 It has been said that he used the shamrock to witness by explaining the Trinity. Patrick introduced Latin to the people of Ireland. Handwritten copies of the Bible were completed in Latin for the people of Ireland. This replaced the awkward Ogham scripts. He stayed in Ireland as a missionary until his death. A good book to teach young children about St. Patrick’s Day is “The Story of Saint Patrick’s Day” by Patricia A. Pingry and Illustrated by Pamela R. Levy. A fun snack to make is the Shamrock Shake: Place 1 pint (2 cups) vanilla ice cream, 1 cup milk, 1/2 teaspoon of peppermint extract, and green food coloring into a blender. Blend on high until smooth. Pour into glasses and top with whipped cream and green sprinkles. 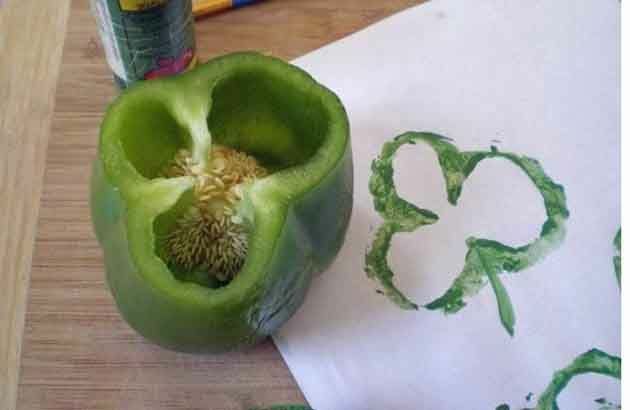 A good craft to emphasize the trinity is the Shamrock Craft: Cut the top off a green pepper. Place open end of pepper in green paint and begin stamping. As read in the book of Philippians Paul greeted fellow Christians or saints with joy so too should we. Bake some sugar cookies with your children and add green sprinkles or sugar to decorate. Share these cookies and joy to your neighbors. Paul and Patrick are examples of men that reached out to others. They both told others about Jesus Christ and His Word. Enjoy this day, reach out and share the Good News of Christ. It is never too young to begin teaching children about God and the things of God. Below are some fingerplays to teach God’s precepts at an early age. These fingerplays are from Preschoolers Sing and Say by Regular Baptist Press. Fingerplays increase attention span, add fun, and help teach concepts. 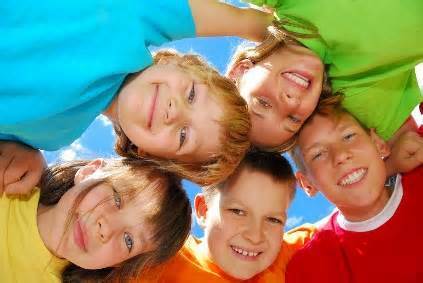 Have fun teaching God’s precepts to the children God has placed in your life. Is it important to know the learning styles of children in order to teach children effectively? According to Deuteronomy 11:19 we are to teach the things of God throughout the day. This seems like a big order in this day of technology, over commitments, fast food, and sometimes fast talk. Yet, we need to slow down our lives so we will be able to tend well to our families. Teaching about God and His Word are the most important things we can do. In order to make the most of teaching moments it is good to know the learning style of your child. There are several ways to categorize learning styles. I will refer to three learning styles: auditory learner, visual learner and the kinesthetic learner. The auditory learner learns best by hearing the information being taught to them and then talking about what was learned. The visual learner must see the process, facts, and concepts being taught. The kinesthetic learner learns best while manipulating, touching, and working with the concepts being taught. 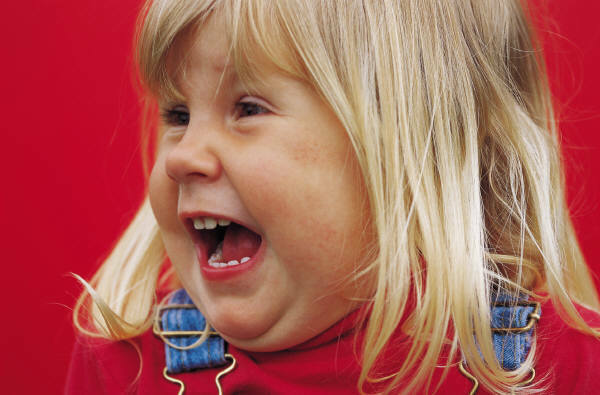 Watch children as they play to help determine their learning style. 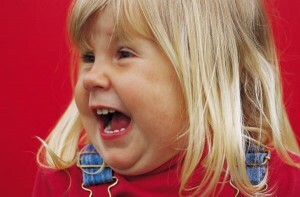 An auditory learner will express themselves through their words.They may also enjoy music and various sounds. The visual learner will have more facial expression. They also enjoy watching and observing. The kinesthetic learner will more likely express themselves through body language and manipulation of the objects being played with. They may even want to take things apart to see how it works. They enjoy physical activity. Our ultimate teacher example is Jesus Christ. While on this earth he taught to the auditory, visual, and kinesthetic learner. Jesus used parables (a short story with a message) to teach. Oh how those auditory learners must have wanted to sit for hours listening and soaking in every word that Jesus said. Jesus also taught to the visual learner. He fed 5,000 people with 2 fish and 5 loaves of bread! What a site that would have been to see! And then for the kinesthetic learner (some of the disciples) each received a basket of food left over to carry with them after Jesus fed the 5,000 people. Try to think of other examples from the Bible in which Jesus taught to the various learning styles. It is exciting to see all the examples of teaching scenarios God’s Word provides for us. It never ceases to amaze me how much we can learn from God’s Word. Once we understand the learning style of the children God has placed around us we can more effectively teach each child. Just as Jesus taught in a variety of ways so too should we. We need to know the dominant way in which the individual child learns but teaching to all children means we need to make sure that we as parents, grandparents, and teachers follow Jesus’ example and teach to all three learning styles. Teaching the things of God while we “speak, sit, and walk” as told to us in Deuteronomy 11:19 covers the three learning styles. Going for the Gold, Why Not a Crown? The Winter Olympics have been enjoyable to watch and when the athletes receive their awards it is a memorable moment. In the first Olympics crowns of olive leaves were given as the awards. To receive an award for your efforts sets one apart from the others. Why do we enjoy hearing the medal count for each country at the end of each broadcast? 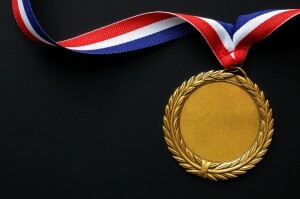 There is a competitive aspect and achievement recognition that interests us. It is good to see those who have worked hard be recognized for their efforts. These elite athletes have overcome many obstacles in order to compete in this year’s Winter Olympics. Some of the athletes have fought through injuries that most of us would still be recuperating from and in some sort of physical therapy. Other athletes have overcome great grief of the death of loved ones. A bobsled was broken and there was a team working through the night to repair it so the athletes could compete the next day. What about Nick Goepper who learned to snowboard in the hills of southern Indiana? He and his parents found a way in which he could perfect his skills to the point of becoming an Olympian and medalist. What characteristics do these elite athletes have in common? 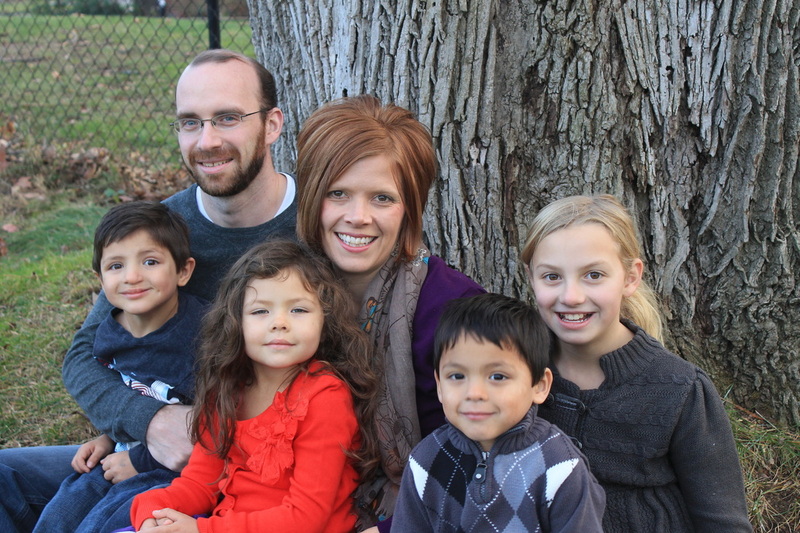 Can we apply these characteristics to Christian parenting? The Olympians fight through setbacks and injuries while becoming the elite athlete they each are today. Do we focus on the situations in our life or do we focus on the prize? (Eternity with Jesus Christ and laying crowns at His feet.) Prayer is important for the Christian. Keep a family journal of prayer requests and answered prayer so children can see God. Come back to those answered prayers in time of difficulty and remind children that God helped in the past and will help in the future. The Olympic athletes must eat well in order to fuel their bodies to perform at this elite level. As Christians we must feed on the things of God. Spending time with God in prayer and reading His Word are imperative if we want to finish this life well. In order to teach our children to love the Lord we must spend time with God first and then share that love with our family. Pray with your children before school. Have Bible fact night at the dinner table once a week. Pray for a missionary before dinner. If your hear an ambulance pray for all concerned. Be creative and see how many ways you can point your children toward God in a day. Practice is imperative in order to become an Olympic athlete. Have a time of Bible teaching with your children. Memorize Scripture as a family. Use teachable moments in nature to teach the things of God. Practice is repetition and adding creativity to the repetition is key. Make learning the things of God repetitive, fun, and creative. Encouragement from mothers has been a theme of many advertisements during the broadcast of the Olympics. As mothers we have a great responsibility to encourage our children in the things of God. Just think of Hannah in the Old Testament and her son Samuel. She brought him a coat each year he was growing up with Eli as an act of love and support. The medal winners are very thankful for the people who have helped them on the arduous journey toward perfection of their specific sport. As Christians do we provide encouragement to others? Do we praise God for His Word that imparts so much and are we thankful for the Holy Spirit that wants to guide us in all things? Let children see your praise and thankfulness of God and others. Help your children think of “random acts of kindness” to bless others. We may never earn an Olympic medal but we all have the ability through Christ to earn a crown that we will want to lay at the feet of our Savior, the Lord Jesus Christ. As this year’s Olympics come to a close and the medal count is posted consider the importance we are placing on the rewards God gives to us. Are we teaching our children about God’s rewards? Our we teaching them to love the Lord with all their heart, soul, strength, and mind? Let’s run this race well and teach to our children what counts for eternity. Change is a word that causes people to react in many different ways. Some love it. Some hate it. For me, it depends on what kind of change we are talking about. I like to switch the wall color (I think our house has shrunk in square footage as often as I change the wall colors). I like to move the furniture around. I like to darken my hair color (which is what prompted this blog). I love the change of seasons (I hope this one happens soon). Some changes I don’t like. I don’t like moving. I don’t like seeing my children go from little to big. I don’t like change that drastically reshapes your life. I don’t like having to change plans at the last minute. It’s little changes that I like. Some change is good. After a VERY frustrating day a couple weeks ago, my hubs and I sat down and changed the way we assign the chores. I was having all 4 kids help empty the dishwasher at the same time. They all had different sections to empty. However, it was causing way too many fights and frustrating mom every morning. So, we now have the kids do their jobs on a rotating basis. One morning the oldest empties the dishwasher, the 2nd feeds the pets, the 3rd loads the washer, and the 4th sets the table. Then every day the kids rotate to the next job on the list. Fights are at a minimum now in the mornings. Duh! Such a simple change. Why didn’t I think of that!!! Kids, like adults, deal with change differently. One of my boys almost cannot handle any sort of change without going a little spastic. My other son has to ask over and over again “why” and “how come” just to get it all set in his mind. Both of my girls are homebodies. So, whenever there is a change in routine, mom has to get creative. Thus comes next week. There is going to be a bit of a change in routine in our house for about a week. My sister is coming to help me and my hubs with something and we will have to have our arsenal full of ideas to keep the kids from overreacting. I am thinking we might have to do a surprise night each night like I did the week my hubs was on a business trip. Movie night. Dessert night. (Huge in our fam). Sleep over at grandma’s. Present from mom and dad. My sister is good at the creative part. She loves spending time with the kids and they all adore her! Things change. Life changes. Sometimes rapidly. One thing we can count on is that God does NOT change. On Valentine’s Day love is written on conversation hearts, chocolates, and cards. Children make cards and parents buy cards to share on this special day. According to Hallmark, 1,400 billion cards are made for Valentine’s Day. Valentine’s Day is second only to Christmas in the amount of cards mailed. There are thousands of books, poems, and songs written about love. Artwork, both paintings and sculptures depict this. We long for and seek after love. Why is love so important? We are made in the image of God. (Genesis 1:27) So we are made for love. 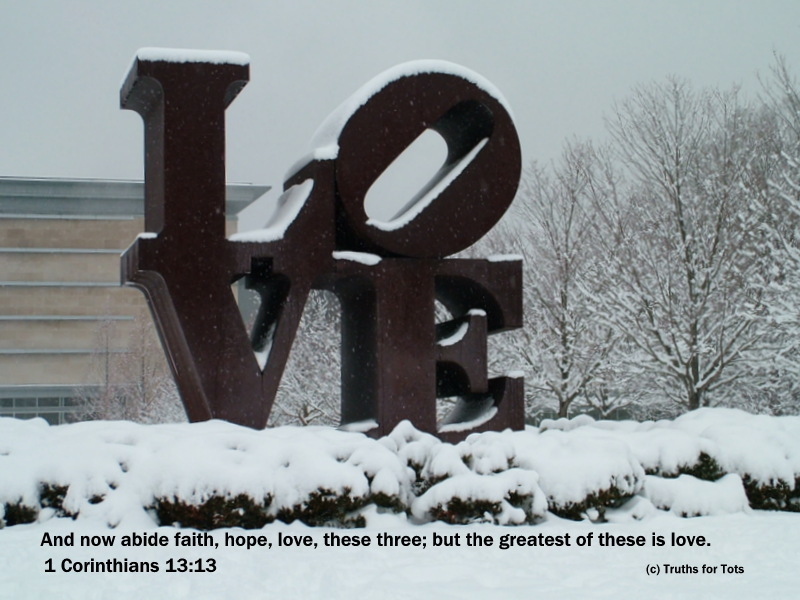 The Greek word “agape” is the type of love that means love, dear, and charity. This Valentine’s Day share love with your neighbors, family, and friends. Make cookies and cards or do an act of kindness to share God’s love. Teach your children about sharing with others. True love is found in what God did for us by sending His only Son, Jesus Christ, to earth for us. Love is all about giving. Below is a tried and true sugar cookie recipe to share with family and friends. Decorating cookies with your children is fun and sharing the finished product brings even more joy. Thoroughly cream shortening, sugar, and vanilla. Add egg and milk; beat till light and fluffy. Sift together dry ingredients; blend into creamed mixture. Cover and chill at least one hour. On lightly floured surface, roll to 1/4 inch thickness. Cut in desired shapes with cutters. Bake on ungreased cookie sheet at 375 degrees about 8 to 10 minutes. Cool slightly; remove. Add frosting and decorate as desired. This recipe will make about 24 heart shaped cookies. Happy Valentine’s Day to you and your family.